About - Shimmering Waters Pool Service - Professional swimming pool & spa cleaning, maintenance, repair and remodel company, servicing the valley. Shimmering Waters Pool Services ​is a family owned and operated swimming pool maintenance and repair company with a commitment to our customer’s satisfaction. We are located in Glendale Arizona but serve customers valley wide. We strive to create lasting relationships through our integrity, high quality work, and unbeatable service. 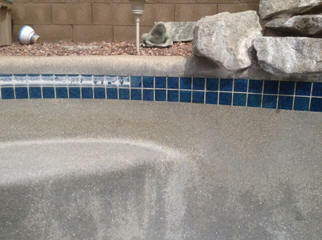 Our pool equipment repairs and remodels are performed by licensed Phoenix Arizona swimming pool contractors. We offer weekly swimming pool maintenance, one-time cleanup, inspections of Glendale and area swimming pools for new home owners as well as Phoenix Realtors, and HOA-tailored services. Our services are offered valley-wide. Contact us for a free quote. Phoenix, Peoria, Litchfield park, Avondale, Waddell, Surprise, Sun City, Sun City West, Scottsdale, Shea Corridor, Cave Creek, Care Free, Desert Hills, Anthem, Arcadia, Moon Valley, McCormick Ranch and other areas.